"If you always do what you always did, you will always get what you always got". They lead their teams around the roadblocks. They have the courage to take considered risks. Over the past five years, we have supported multiple leadership teams in their quest to overcome challenges and dilemmas. Some have faced market entry or competitive issues; others, team alignment or performance challenges; most had some financial or funding context. All had important decisions and choices to make. 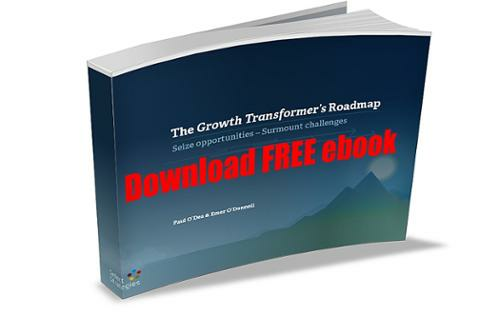 You helped us refine and clarify our thinking on growth transformation and we have summarized the lessons learnt in our new eBook, The Growth Transformer's Roadmap. It is intended to share the lessons learnt from Growth Transformers, who chose to transform, rather than stagnate and die. Please let us know your experiences, as this is a journey we are all on. What is a Growth Transformer?